We need to do more than automate model building with autoML; we need to automate tasks at every stage of the data pipeline. If humans are no longer needed to write enterprise applications, what do we do? Humans are still needed to write software, but that software is of a different type. Developers of Software 1.0 have a large body of tools to choose from: IDEs, CI/CD tools, automated testing tools, and so on. The tools for Software 2.0 are only starting to exist; one big task over the next two years is developing the IDEs for machine learning, plus other tools for data management, pipeline management, data cleaning, data provenance, and data lineage. When it comes to automation of existing tasks and workflows, you need not adopt an “all or nothing” attitude. 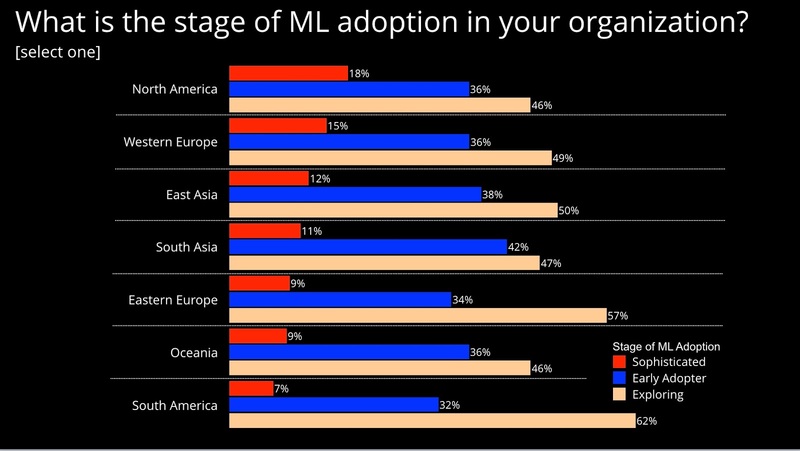 In this post, I share slides and notes from a keynote Roger Chen and I gave at the Artificial Intelligence conference in London in October 2018. We presented an overview of the state of automation technologies: we tried to highlight the state of the key building block technologies and we described how these tools might evolve in the near future. The O’Reilly Data Show Podcast: Alex Wong on building human-in-the-loop automation solutions for enterprise machine learning. In this episode of the Data Show, I spoke with Alex Wong, associate professor at the University of Waterloo, and co-founder of DarwinAI, a startup that uses AI to address foundational challenges with deep learning in the enterprise. As the use of machine learning and analytics become more widespread, we’re beginning to see tools that enable data scientists and data engineers to scale and tackle many more problems and maintain more systems. This includes automation tools for the many stages involved in data science, including data preparation, feature engineering, model selection, and hyperparameter tuning, as well as tools for data engineering and data operations. Wong and his collaborators are building solutions for enterprises, including tools for generating efficient neural networks and for the performance analysis of networks deployed to edge devices. Having worked in machine learning and deep learning for more than a decade, both in academia as well as industry, it really became very evident to me that there’s a significant barrier to widespread adoption. One of the main things is that it is very difficult to design, build, and explain deep neural networks. I especially wanted to meet operational requirements. The process just involves way too much guesswork, trial and error, so it’s hard to build systems that work in real-world industrial systems.